February is Black History Month — a time to celebrate stories of racial progress, remember the long, ongoing struggle for racial justice, and examine how our ideas about race cut to the core of our politics and our identities. With this in mind, we’ve put together a special selection of classroom films that examine everything from the politics of racial scapegoating to the history of progressive resistance in sports to how African-American women navigate media representations of beauty. We encourage you to use these films in your classes, organize programming on your campus, or host screenings in your community. The Great White Hoax, featuring acclaimed anti-racist educator and author Tim Wise, looks at how American political leaders of both parties have been tapping into white anxiety and scapegoating African Americans for decades to divide and conquer working class voters. Daphne’s Valerius’s award-winning The Souls of Black Girls explores how ideals of beauty that privilege whiteness and thinness affect the self-esteem of girls and women of color. Not Just a Game, with Nation magazine writer Dave Zirin, reminds us that the NFL player protests we’re seeing today are part of a long, proud, and mostly forgotten tradition of African-American athletes using their high-profile status to call attention to racial injustice. Acclaimed filmmaker Byron Hurt’s Soul Food Junkies breaks down the cultural politics of food and the complex interplay between identity, taste, power, and health. And White Like Me takes an eye-opening look at how America’s failure to come to terms with white privilege continues to perpetuate racial inequality and race-driven political resentments today. Learn more about these titles — and many more — in our selection below! Award-winning filmmaker Byron Hurt’s exploration of the soul food tradition, its relevance to black cultural identity, and its continuing popularity despite known health concerns. Features soul food cooks, historians, doctors, and food justice movement activists who are challenging the food industry, creating sustainable gardens, and advocating for healthier takes on soul food. Filmmaker Daphne Valerius’s award-winning documentary explores how media images of beauty undercut the self-esteem of African-American women. Valerius surveys the dominant white, light-skinned, and thin ideals of beauty that circulate in the culture, and talks with African-American girls and women about how these images affect the way they see themselves. Featuring acclaimed anti-racist educator and author Tim Wise, this film explores how American political leaders of both parties have been tapping into white anxiety, stoking white grievance, and scapegoating people of color for decades to divide and conquer working class voters and shore up political support. Award-winning filmmaker Byron Hurt explores what it means to be a black man in America. Hurt gathers reflections on black masculinity from men and women of a variety of socioeconomic backgrounds. Also features bell hooks, Michael Eric Dyson, John Henrick Clarke, Dr. Alvin Poussaint, MC Hammer, Jackson Katz, and many others. Director Byron Hurt conceived the documentary as a “loving critique” of a number of disturbing trends in the world of rap music. He pays tribute to hip-hop while challenging the rap music industry to take responsibility for glamorizing destructive, deeply conservative stereotypes of manhood. In a direct rebuke to those who argue that sports and politics don’t mix, Not Just a Game explores how U.S. sports culture has glamorized militarism, sexism, racism, and homophobia while also serving as a spectacular site of political resistance to these same regressive forces at key moments throughout history. In this interview conducted shortly before his death in 2014, Stuart Hall, one of the seminal figures in cultural studies, talks about the always shifting terrain of race and identity in the United States and Britain, offering fascinating cultural and political insights into the presidency of Barack Obama and the 2012 Olympics in London. Stuart Hall explores how variations in people’s appearances come to be mistaken for essential differences. He then traces how these misinterpretations function both to express and to reproduce dominant power relations. An ideal introduction to how cultural studies intervenes in debates about race, representation, identity, and power. Cultural theorist Stuart Hall offers an extended meditation on representation. Hall’s concern throughout is the centrality of culture to the shaping of our collective perceptions, and how the dynamics of media representation reproduce forms of symbolic power. Examines media coverage of the controversial case of Mumia Abu-Jamal, a journalist serving a life sentence in prison for the fatal shooting of a police officer. Focusing primarily on an influential ABC 20/20 news report, the film raises series questions about journalistic balance and fairness that resonate far beyond this particular case. Cultural historian Dave Zirin examines the myriad ways sports culture has worked both to reproduce and challenge the wider culture’s dominant ideas about race. 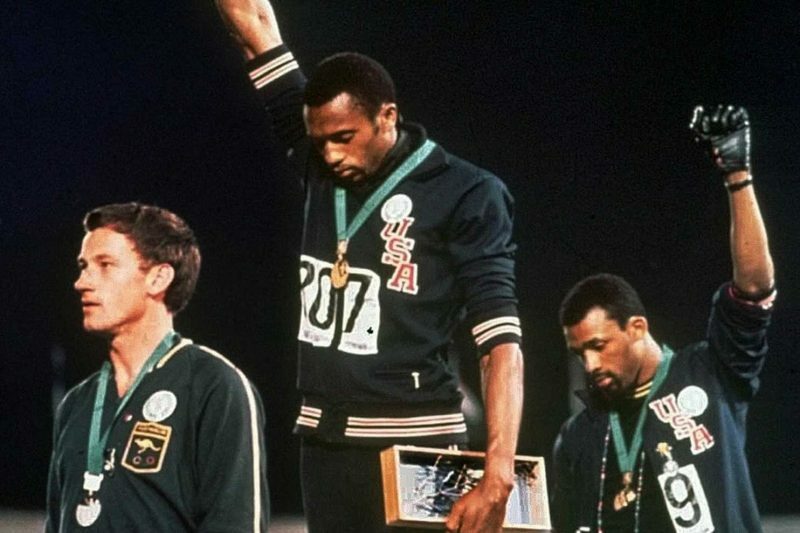 Zirin’s analysis shows how athletes of color have posed a direct threat to traditional notions of whiteness, white male authority, and American ideals of masculinity. Based on the work of bestselling author Tim Wise, this film offers a riveting look at white anxieties, racial backlash, and continuing racial inequality despite claims that we’ve entered a post-racial, colorblind society. In this spellbinding lecture, anti-racism educator Tim Wise offers a vivid and accessible introduction to the social construction of racial identities, and a critical new educational tool for exploring the often invoked, but seldom explained, concept of white privilege. Distinguished historian John H. Bracey Jr. offers a provocative analysis of the devastating economic, political, and social effects of racism on white Americans. Bracey’s central point is that failing to acknowledge the centrality of race, and racism, to the American project not only minimizes the suffering of black people, but also blinds us to how white people have been harmed as well.